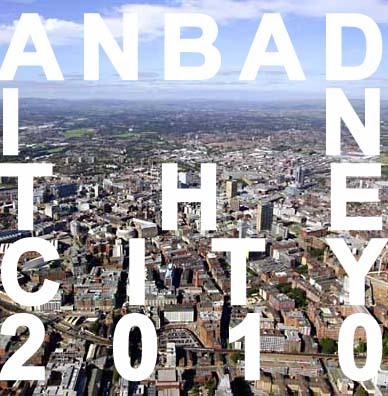 ANBAD @ In The City 2010! Just like Christmas, Manchester’s In The City new music festival comes only once a year, except when you crowded around the table last December, there were probably fewer obtuse fringes, skinny jeans and A&R men rushing off to the toilets to powder their noses. Oh, and there was definitely no Witch House. In case you’re unaware, In The City is a sprawling, yearly, new-music monster that engulfs part of Manchester; during the day, industry types wring their hands over the lack of money these days, and during the night everyone else has a great time trying to cram in seeing as many new bands as from all over the globe as possible. So this year, ANBAD is getting involved, by tentatively liveblogging from the daytime events, and hopefully snagging a few interviews with various new music movers and shakers along the way. At night time, I’ll be tweeting from the gigs I’ll be at, and on Thursday, Friday and Saturday morning, there’ll be round-ups of the previous night’s gigs. So keep ’em peeled: follow ANBAD on Twitter @ANewBandADay and here on anewbandaday.com – and you’ll be able to catch more of my thoughts on the BBC Introducing Manchester site in the coming days too. Get stuck in! Posted on October 13, 2010 by Joe Sparrow. This entry was posted in Featured, Headline. Bookmark the permalink.